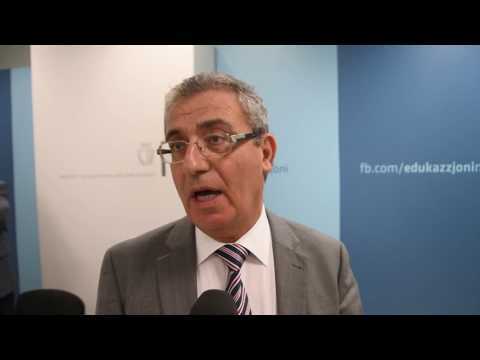 Minister for Education and Employment Evarist Bartolo said that the vote by the British against the EU, is a vote against what is not functioning in the European Union. Minister Evarist Bartolo had campaigned against Malta’s membership into the EU. Asked whether he still thinks in the same way, the Minister said one must look at the historic perspective. Finance Minister Edward Scicluna said that with regards to Malta this referendum has its negative and positive effects. The negative aspects that we need to discuss is the effect on tourism and financial services. Minister for Tourism Edward Zammit Lewis said that as a country we were prepared for any outcome, however as we had already stated this situation has more disadvantages than advantages. During the past 40 years tourism from Britain was always a column of our economy, but the Brexit decision will not have an immediate impact on us. However Minister Zammit Lewis added that as from this morning we started speaking with British tourist operators to see how we can work things out. Minister for Family and Social Solidarity Michael Farrugia said that Malta was prepared to any eventuality and now we have to discuss what the way forward should be. Justice Minister Owen Bonnici said that this was not the result he was expecting but he hopes that after this result the European Union will become more flexible.